When an IAS officer comes up with an idea of nuclear testing in India, his plan is brushed aside, until a new secretary to the PM brings him back from his forced exile to put his plan into action, thus putting India on the world map, amongst countries that are already nuclear superpowers. It is not every Friday that you get to see John Abraham in a role that does not match his onscreen image. He is either cast as the lover boy, wooing his girl off her feet or a hulked up hero, who bashes baddies single-handedly in an out-an-out actioner. There have only been a couple of instances when John Abraham was seen in a role that saw him coming out of his comfort zone. And of late, the handsome actor has been taking up characters that are close to reality, which give him the edge to showcase his acting skills. The recently released ‘Parmanu: The Story Of Pokhran’, sees him in the role of an IAS officer, who spearheads the idea of nuclear test explosions that helps put India on the map of nuclear superpowers. The film begins in 1995, when Officer Ashwath Raina (John Abraham), who in a highly confidential state-level meeting, comes up with the idea of a nuclear test explosion within the firing range in India in Pokhran, which will help the country stand tall in the coveted line of superpowers like the US and Russia. A minister in the department, jealous of Raina’s position and his ability to carry out his duties, laughs off the idea, terming it imaginary; but Raina knows in his heart that his motherland is capable of attaining the merit, which will shut all her naysayers once and for all. He is banished from duty and so the determined officer, now put up in Mussoorie, leaves the responsibility of raising his 9-year-old child on his astrophysicist wife Sushma’s (Anuja Sathe) able shoulders to coach aspiring civil servants, willing to bring laurels to the nation. His life takes a turn for the better when the newly appointed secretary to the PM, Himanshu Shukla (Boman Irani) assumes office and gives him a chance at proving his worth. Raina then brings together an unlikely team of five people – an army major, a scientist, a space agency expert, a techie and a surveillance agent, who become his stepping stones to success. The film is a fictionalized account of a true event from two decades ago, that highlights how India came to be known as one of the nuclear-equipped countries after some failed attempts. However, while making the movie, Abhishek Sharma takes quite a lot of cinematic liberties to narrate a part-fiction, part-fact tale that becomes slightly uneasy to digest in some parts. The slow build up of the first half also becomes a bit too tedious, for it mars the audiences’ enthusiasm to sit together for the second half, which is the only saving grace. Nowhere does the film credit factual people in power before the successful 1998 nuclear tests, and that oversight sticks out like a sore thumb. The movie harps on the one-man army and his motley crew of assorted aces, who work with precision, but fail in depicting the urgency required to carry out a mission that is the immediate need of the hour. However, there are certain departments which need a mention. John Abraham has brushed his acting skills really well and he brings forth a character one can look up to. Diana Penty and Boman Irani lend their support to the main lead, but it is Anuja Sathe, who compliments the star to a T. Cinematography is good and the deserts of Rajasthan come alive on the camera, thanks to the efforts of Aseem Mishra and Zubin Mistry. The screenplay is a little botched up, but the CGIs included in the film in the form of screen grabs and in bringing the decades gone by makes up for it all. 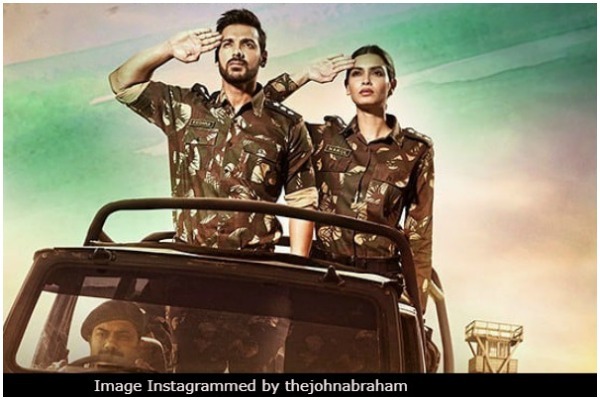 To put it together, ‘Parmanu: The Story Of Pokhran’ is for diehard John Abraham fans and also for those that need a little dose of reality, sugarcoated in dips of fiction. Next : Birthday Boy Karan Johar’s Top 5 Controversies That Shocked Bollywood!